Water waste ordinances prevent the loss of quality, potable water by encouraging water users to keep fixtures and infrastructure in good repair. Water waste ordinances target new and existing outdoor water use that runs off public and private property from landscape irrigation, car washing, and other uses. Water waste ordinances can be more broadly crafted to include other water uses considered wasteful. For example, some water waste ordinances include prohibitions on outdoor misting systems, hosing down outdoor areas, ornamental water features, and even serving water in restaurants unless requested. 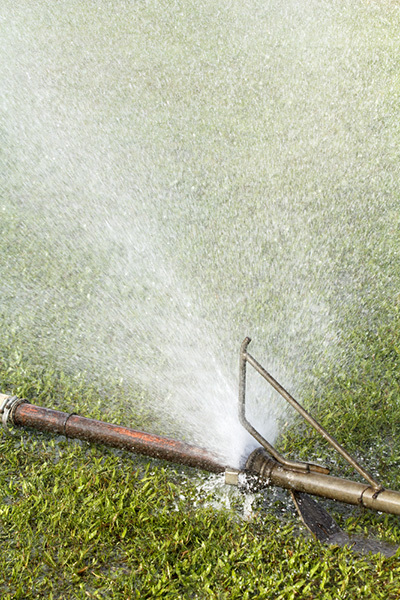 Run-off from landscape watering is commonly referred to as fugitive irrigation water. Communities adopt water waste ordinances primarily because the loss of high quality potable water is considered an “unreasonable use” of water, and because water should be put to maximum beneficial use. In addition, water runoff can cause safety problems and damage streets and property. Water waste ordinances generally contain the following components: 1) what the ordinance applies to (e.g. public, residential, commercial); 2) definitions of the terms in the ordinance; 3) what is prohibited and what is required; 4) exclusions; and 5) enforcement. Some communities employ conservation inspectors that investigate incidences of water waste and impose fines and other penalties, particularly for repeat incidences. Water waste ordinances may also include tampering provisions that regulate illegal hose or water meter tie-ins. Because water waste that results in runoff from a property can cause safety concerns, erosion, and property damage, even communities without public water systems (like Camp Verde, Sedona, and Sierra Vista) may adopt water waste ordinances. The Arizona Department of Water Resources (ADWR) developed a comprehensive brochure addressing fugitive irrigation water as well as other sources of water waste. It includes a step by step guide to developing a fugitive water ordinance, including a list of definitions and examples of prohibitions and requirements. Prohibitions may include bans on the following: loss of water through breaks, leaks, or other malfunctions in the irrigation distribution system; overflow or overspray when irrigating that causes erosion damage to public property or public rights-of-way; and escape of irrigation water that results in the formation of puddles. Requirements include repairing broken irrigation systems, and ensuring that irrigation ditches retain water and that embankments for flood-irrigated property retain water on the property. The brochure includes a matrix of water waste components with examples of different levels of restrictions that a community might consider including in an ordinance. For example, a “somewhat restrictive” measure for the water wasting action of hosing down outdoor spaces would be a requirement to use a water-broom or a nozzle with an automatic shut-off, while the “most restrictive” measure would be a complete prohibition on hosing down outdoor areas. Water waste ordinance enforcement can include a range of actions, such as issuing a notice, citations, fines, and even discontinuation of water service. Exclusions typically included in water waste ordinances include those for routine inspection of hydrants, public health and safety water uses, and water flows related to vandalism, emergencies, or natural disasters. The brochure offers examples of educational materials for residences and an ordinance template, focused on prohibiting fugitive water from irrigation, that can be used to develop local regulations. The Town of Payson Water Waste and Fugitive Water Ordinance and supporting water code sections contains useful information. The City of Tucson ordinance, including the 50% rainwater irrigation requirement for new commercial development, as well as the Rainwater Harvesting tool description found here.